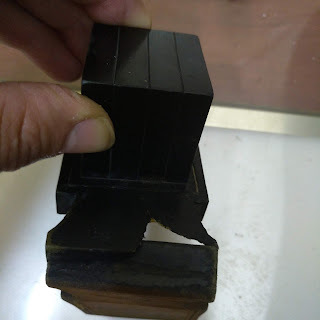 Where can I read about the kesher of the tefillin shel yad according to the Baal Hatanya? Why is it considered by some than the regular kesher? If somebody has different sources, I would be very interested. "Why is it considered by some than the regular kesher?" Is this sentence correct' or you skipped something? Yes. Sorry. I meant why is it considered by some more mehudar than the regular kesher? One of the advantages of this kesher, is, that it can be opened and tied everytime a person puts on tefilin. There are opinions that וקשרתם means tying the tefilin by doing [tying] the kesher daily. Thank you rav Moshe. Where does Baal Hatanya talk about this? And are there other poskim on the same opinion? I believe that many non-Chabad poskim dislike the Chabad kesher shel yad, because they say that we pasken like Rabbeinu Tam against Rabbeinu Eliyahu in the aforementioned machlokes. Therefore, I don't think that it is a question of more or less mehudar, but rather which opinion in Tosafos we follow. It's true that we pasken like RT and and the Chabad kesher was a change in Mesorah. But what is the source for "dislik"ing the Chabad kesher for halakhic reasons? It's true that Chabad is assuming that their Kesher is what Rabbeinu Eliyahu had in mind, which is not necessarily true. For some reason, the objection to the Chabad Kesher reminds me of another similar baseless objection. 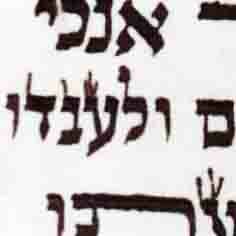 About 250 years ago, בעל התניא instituted the use of סכינים מלוטשים in Shchita. The non-Chassidim objected heavily and passkened that Shchita with סכינים מלוטשים is Treif. It took a few years for everyone to realize that Shchita with סכינים מלוטשים is better and more kosher than with other knives. Everyone switched to using סכינים מלוטשים and the objections faded away. Today, even those who are strong objectors to Chassidut, use סכינים מלוטשים . The objections to סכינים מלוטשים were hashkafic, not halakhic. The early Chasidim were very energetic about their wide-reaching revamping of many areas of accepted practice (also Nusach Ha-Tefillah etc.). The Misnagdishe Rabbonim were trying to stem the tide by declaring that the Shchitah of someone who dared shecht the "new" way was Treif. It didn't matter that it could be argued that the new way was halakhically "better." Once the פירצה שבו was less deeply felt, the Rabbonim felt that it was ok to adopt סכינים מלוטשים because they were sure there was no actual halakhic problem involved. This is not necessarily the case with other things. When changing מנהג ישראל, one must act with an extraordinary amount of זהירות to make sure one is not accidentally מקלקל when trying to be מתקן. Just look what happened with the Kesher shel Rosh--many people switched from a square to a "dalet kesher" under the false impression that it was halakhically preferable. In other words, the objections were all politics and no Halacha. The קשר של ראש is explicitly described as a Dalet in ספר הזהר, פרשת פנחס . It's also explicitly described as a Dalet in the Gemara, but that is referring to the square kesher, as indicated by every single early source that describes how to tie it. Sorry, when I look at the square kesher I see a Mem Sofit, not a Dalet. I don't know who invented the name "Double dalet" to try and get around the appearance of Mem Sofit. Follow the instructions for making the Kesher brought in the Beis Yosef siman 32 and see what comes out. See also the relevant chapter in זכרון אליהו (although probably תרומת הדשן and תיקון תפילין also had a square ואכמ"ל), and various other קונטרסים that have been published lately on the subject. וקושר קשר מרובע, כמין דלת. וקשר זה, צריך כל תלמיד חכמים ללומדו, ואי אפשר להודיע צורתו בכתב, אלא בראיית העין. 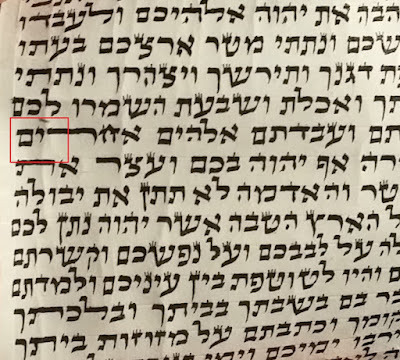 The Rambam is using both the word מרובע and the word דלת . However, according to the Rambam, it is impossible to describe verbally the process of making the Kesher. Therefore, if we see a verbal description, it is either not complete, or, we think that we understand it correctly but we don't. they say that the description of בית יוסף can be understood both ways. בעיקר המנהגים בצורת הקשר של ראש, מדברי הבית יוסף משמע שיש מקום לשתי הצורות גם כמרובע ממש, וגם כצורת דלת (עי' ב"י סי' לב ס"ל), ואמנם בכף החיים (קול יעקב סי' לב ס"ק רלז) הביא את דעת המלאכת שמים (שהיה מבני אשכנז) שיש לעשות בצורת דל"ת ממש, אך בדברי הפוסקים הספרדים לא מצאנו עיכוב בדבר, ואשר על על כן אין בזה שום חסרון, ואף מבני אשכנז יש שנהגו כך ויש שנהגו כך, עי' ספר תפלה למשה (פ"ז ס"י וסי"ב, ובהערות שם). See also משנת הסופר in ביאור הסופר regarding the fact that it is clear from different ראשונים that they had the "square" knot. Also, the בית יוסף quotes from the ר"י אסכנדרני and the ארחות חיים that they changed the knot slightly so that it would not come out as a שתי וערב on the back. A simple box stitch (i.e. a square knot) makes a שתי וערב on the back, which the Yemenites still have. I don't know how it is possible to have a שתי וערב on the back of the "dalet" kesher, on the other hand. If the בית יוסף had not held to make such a knot, shouldn't he have said something instead of quoting these sources בסתמא?